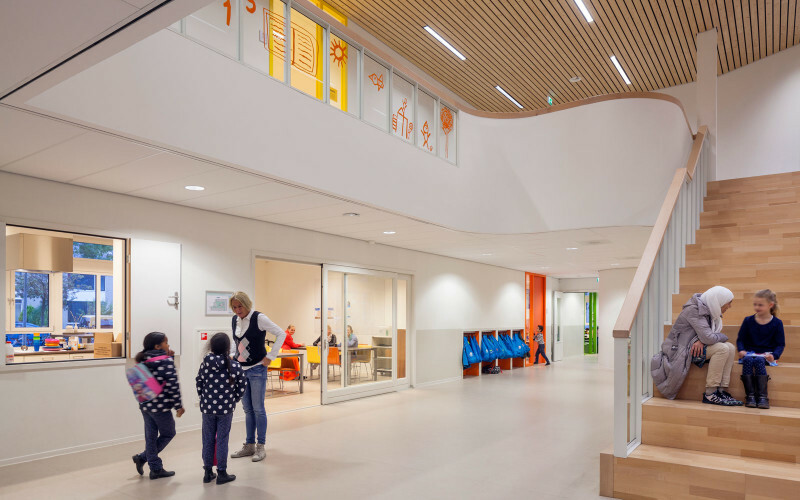 In the early part of 2017 the renovated primary school on the Reigerlaan in Eindhoven opened its doors again. The primary school had been contending with lack of space for some time. There was also a need for expanding its activities to include a day-care centre, out-of-school care, sports hall, assembly hall and playgroup. In order to facilitate this, an extension was built on the school’s old courtyard. The existing building – a listed building by the architect J.W.Hanrath (1914) – was renovated and rearranged, also adding a lift which makes the entire building up to the attic wheelchair accessible. To ensure that the new building is optimally in keeping with the old one, the extension is designed respecting the existing appearance, details and colouring, while using the newest materials and techniques. The façade is made of brown bricks in a typical raking stretcher bond, in which the window sills and eaves are made of prefabricated concrete. Piers in the façade and recessed frames create a special façade relief, which looks striking yet modest. The silhouette of a heron is integrated into the masonry of the south façade. Inside the building, an oak panelling is fitted from the old to the new building, adding playful level differences to the first floor. An important principle in the design was the existing structure of corridors in the Hanrath building. The old corridors are extended to the new building, as it were, where they end in large glass sections in several places, maintaining contact with outside and enabling a good orientation everywhere in the building. 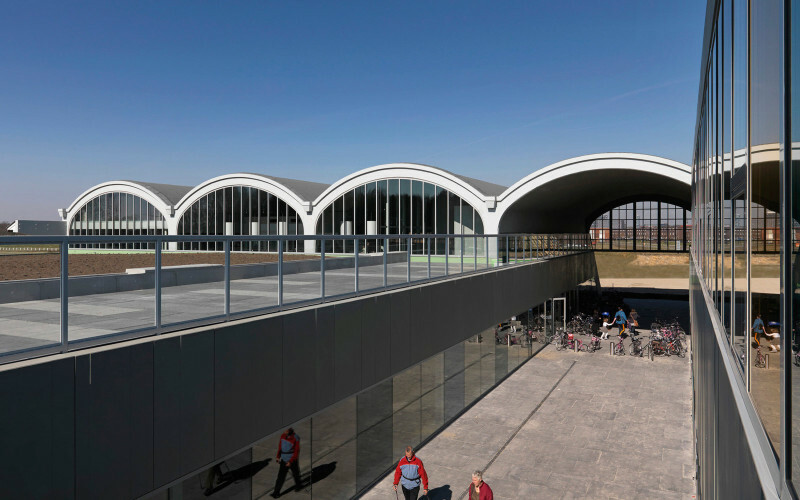 As there was no budget for an assembly hall, it was decided to connect the old and the new functions via a large open room, which forms the core of the so-called SPIL centre (Play, Integrate and Learn). Six skylights provide an optimal incidence of light and a view on the listed building’s rear façade and stairwell.